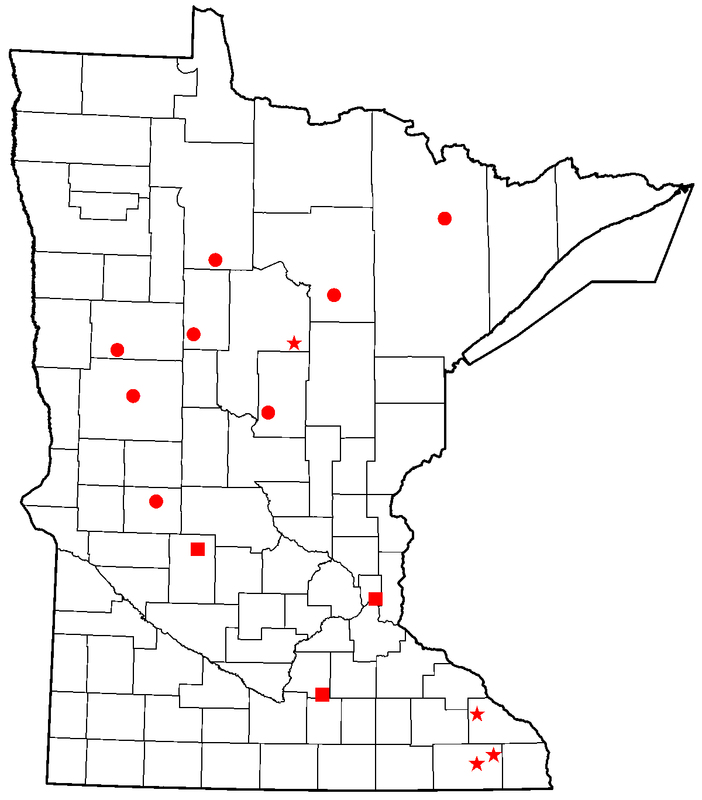 Map showing locations of DNR fish hatcheries. Red circles designate cool-water hatcheries. Stars designate cold-water hatcheries. Squares designate cool- and warm-water hatcheries. DNR hatcheries produce fish that are a critical part of our efforts to maintain and enhance fishing opportunities in 4,300 managed lakes and 16,000 miles of fishable streams and rivers throughout Minnesota. Stocking these hatchery-raised fish significantly enhances fishing in Minnesota by providing angling opportunities that wouldn’t otherwise exist. Each of the DNR's 15 hatcheries plays a unique role in our stocking efforts. The fish each produces helps supports the $4.2 billion contribution anglers make each year to the state economy. Every year, cold-water hatcheries in Altura, Lanesboro, Peterson and Remer provide 1.7 million trout each year for stocking into 200 lakes and 100 streams throughout Minnesota. Trout raised at these hatcheries include brook, brown, lake, rainbow and splake.